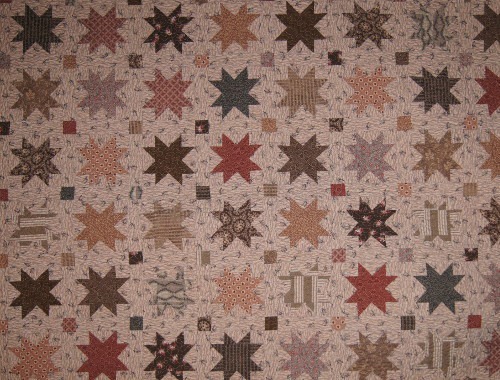 Description: This star quilt is just perfect for a wall hanging or using on a table or bench. The name Aunt March comes from Louisa Mae Alcott's cranky aunt from the book, Little Women. The fabric used in the cover quilt came from the Orchard House line by Windham Fabrics, inspired by Louisa's home.